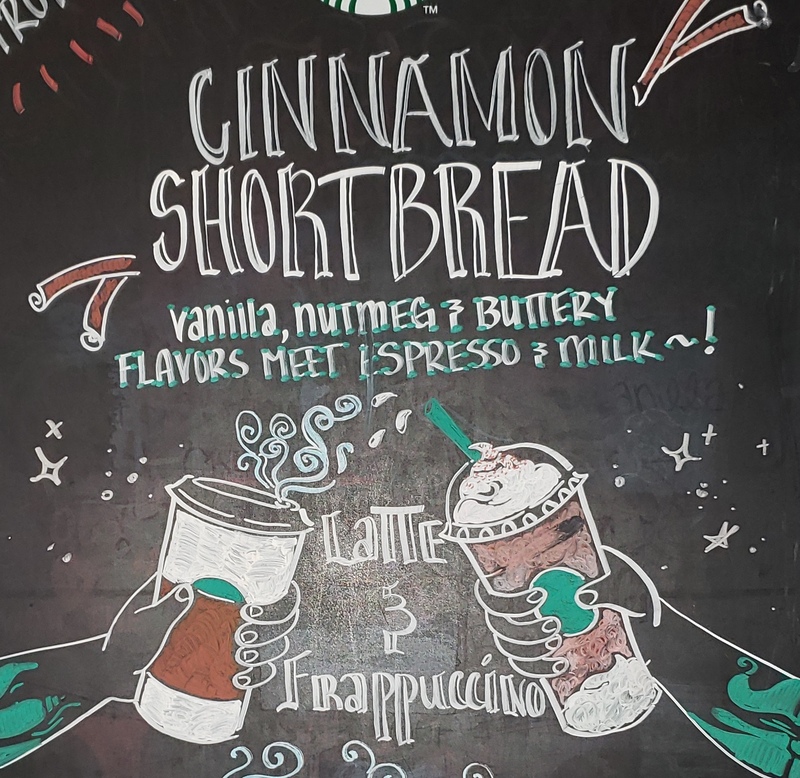 The cinnamon shortbread frappuccino and latte are now out at Starbucks for the winter season. Every so often, Starbucks would sell new or old drinks for the new season. Starbucks introduced all coffee lovers to a new drink this season. The cinnamon shortbread frappuccino, based off the seasonal cookie, just hit stores recently and although it’s nothing special, it’s definitely delicious. There are plenty of drinks at Starbucks that are similar to the cinnamon shortbread frappuccino, like the gingerbread or caramel frappuccino. Many of these drinks were created to center around a season or holiday, so although it makes sense to have a cinnamon coffee drink, it’s nothing special or new added to the Starbucks menu. The cinnamon shortbread frappuccino, based off a cookie that tends to be baked around the December holidays, was definitely better than expected. The cookie flavor in the drink is prevalent, but the cinnamon taste is not very strong. When the drink is made, they sprinkle cinnamon on top of the whipped cream, so it’s expected to be more of a bold flavor, but there just wasn’t enough cinnamon in the drink for it to be worthy of the name. In the first few sips, the cinnamon shortbread frappuccino is very liquidy, like it wasn’t completely blended, so there is an overabundance of the coffee and melted whipped cream flavors. Having the drink layered with whipped cream was very smart because while drinking the frappuccino, the coffee does start to get overpowering, but the whipped cream does a very good job of lightening it. Overall, it was a good drink, but for the most part average. The point in seasonal drinks is to get something new, special and most importantly different, but the cinnamon shortbread frappuccino, however delicious, is nothing spectacular or worth being a seasonal drink.